David Fisher pushes paper for the EPA in a world that's a lot like ours...only different. In this California - and throughout the alternate United States - all gods are real, science doesn't exist, and magic rules everything, running imp-driven computers and creating anxiety-inducing bumper-to-bumper flying-carpet rush hours. 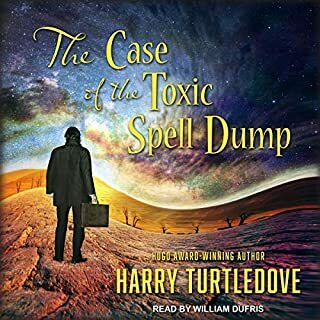 Unfortunately, unchecked magic use can leave dangerous residues, creating hours of mind-numbing deskwork for David and his fellow bureaucrats at the Environmental Perfection Agency. What if mankind's "missing link", the apelike Homo erectus, had survived to dominate a North American continent where woolly mammoths and saber-toothed tigers still prowled while the more advanced Homo sapiens built their civilizations elsewhere? Now imagine that the Europeans arriving in the New World had chanced on these primitive creatures and seized the opportunity to establish a hierarchy in which the sapiens were masters and the "sims" were their slaves. From "the master of alternate history" comes a new trilogy that reimagines a mid-20th century in which General MacArthur, without bothering to consult President Truman, detonates nuclear warheads in several Manchurian cities after China enters the Korean War. 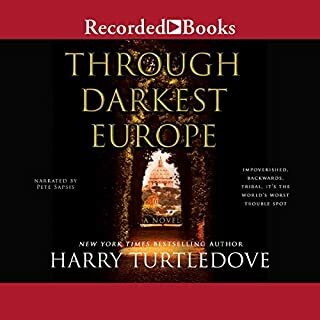 In his acclaimed novels of alternate history, Harry Turtledove has scrutinized the twisted soul of the 20th century, from the forces that set World War I in motion to the rise of fascism in the decades that followed. Senior investigator Khalid al-Zarzisi is a modern man, a product of the unsurpassed educational systems of North Africa and the Middle East. Liberal, tolerant, and, above all, rich, the countries and cultures of North Africa and the Middle East have dominated the globe for centuries. But one region has festered for decades: Europe. Now, Khalid has been sent to Rome, ground zero of backwater discontent. He and his partner Dawud have been tasked with figuring out how to protect the tinpot Grand Duke, the impoverished Pope, and the overall status quo. Karl Cohen, a chemist and mathematician who is part of the Manhattan Project team, has discovered an alternate solution for creating the uranium isotope needed to cause a chain reaction: U-235. After convincing General Groves of his new method, Cohen and his team of scientists work at Oak Ridge, preparing to have a nuclear bomb ready to drop by the summer of 1944 in an effort to stop the war on the western front. What ensues is an altered account of World War II in this taut thriller. 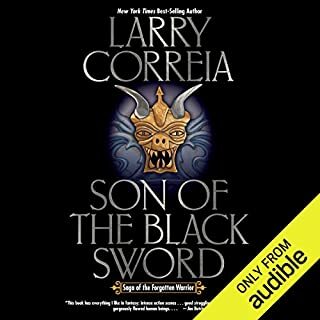 Great book, tormented by an awful narrator! Rick Hayden's brother, Keith, a prominent zoologist at NYU, walks out of his office one day and disappears. The only clue they have are his brother's book, which mentions "the God Gene". A million or so years ago, a gene designated hsa-mir-3998 appeared as if by magic from the junk DNA of the hominids who eventually evolved into Homo sapiens. It became a key player in brain development - specifically creativity - and laymen started calling it "the God Gene". Michael Havel was flying over Idaho en route to the holiday home of his passengers when the plane's engines inexplicably died, forcing a less than perfect landing in the wilderness. And, as Michael leads his charges to safety, he begins to realize that the engine failure was not an isolated incident. In the real world, Reinhard Heydrich, the number-two man in the SS and an architect of the Holocaust, was assassinated in Czechoslovakia in May 1942. In The Man with the Iron Heart, Heydrich survives that fated assassination attempt, only to hatch an insurgency as insidious as anything conceived by Osama bin Laden. On the eve of the U.S. invasion of Baghdad, as the world waits for war, a miles-high energy wave cordons a vast area from southern Canada to northern Mexico. In a moment, 99 percent of the U.S. population has been wiped from the face of the earth. In 1912, just months before the election, President Taft dies suddenly, and Teddy Roosevelt wastes no time in grabbing power as he wins another term as president. By force of will, he ushers the United States into a new, progressive era with the help of the Black Chamber, the mysterious spy organization watching his back. The men onboard HMS Terror have every expectation of finding the Northwest Passage. 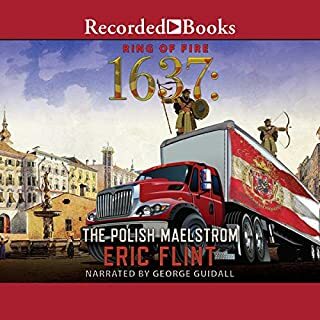 When the expedition's leader, Sir John Franklin, meets a terrible death, Captain Francis Crozier takes command and leads his surviving crewmen on a last, desperate attempt to flee south across the ice. But as another winter approaches, as scurvy and starvation grow more terrible, and as the Terror on the ice stalks them southward, Crozier and his men begin to fear there is no escape. A picaresque tale of minor league baseball - in an alternate Great Depression America full of wild magic. Since the Big Bubble popped in 1929, life in the United States hasn't been the same. Hotshot wizards will tell you nothing's really changed, but then again, hotshot wizards aren't looking for honest work in Enid, Oklahoma. No paying jobs at the mill, because zombies will work for nothing. The diner on Main Street is seeing hard times as well, because a lot fewer folks can afford to fly carpets in from miles away. Jack Spivey's just another down-and-out trying to stay alive, doing a little of this and a little of that. Sometimes that means making a few bucks playing ball with the Enid Eagles, against teams from as many as two counties away. And sometimes it means roughing up rival thugs for Big Stu, the guy who calls the shots in Enid. But one day Jack knocks on the door of the person he's supposed to "deal with" - and realizes that he's not going to do any such thing to the young lady who answers. This means he needs to get out of the reach of Big Stu, who didn't get to where he is by letting defiance go unpunished. Then the House of Daniel comes to town - a brash band of barnstormers who'll take on any team and whose antics never fail to entertain. Against the odds, Jack secures a berth with them. Now they're off to tour an America that's as shot through with magic as it is dead broke. Jack will never be the same - nor will baseball. This is a very, very odd book. If you're looking for crazy whackadoodle magic and dragons and witches everywhere, this is not the sort of book you're looking for. 95% of this book is a straitlaced normal baseball story. Every once in a great while there will be a supernatural interlude, like a player getting attacked by a werewolf on his way back to his hotel for instance. But almost none of the supernatural stuff intrudes upon the baseball. Luckily, I like baseball. I can't imagine what this book would be like if you didn't like baseball. Probably not very fun. But this book was fun for me. 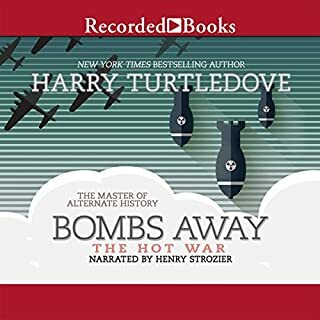 Most everything I've read of Turtledove concerns pretty dark subject matter, war and mass murder etc. This is an easy going slice-of-life baseball story. Who was this book written for? I have no idea. I can't imagine there are a lot of people who are both fans of magical realism and semiprofessional baseball in the 1930s era southeastern united states. But even if this wasn't exactly written for me in mind, I still enjoyed it a good deal. The narration is good. The reader sounds like he's reading the lines for the first time as he says them. That sounds like a bad thing. But since this is ostensibly supposed to be the recollections of a salt-of-the-earth mediocre baseball player, the awkwardness actually works to enhance the story. The narration shouldn't be eloquent, the POV is a hayseed, low on sophistication but high on enthusiasm, and Joey Collins plays that part to a T in this. 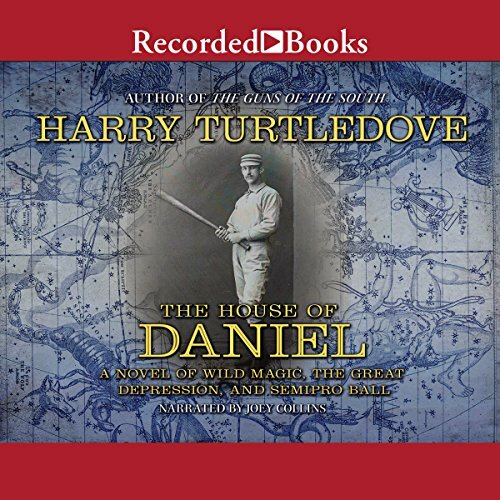 A funny thing happened while listening to The House of Daniel, it turned out to be fun. Fun as in listening or watching a baseball game. The story is seem less, although the only potential drawback is the magic elements but hey they were also funny sidebars. 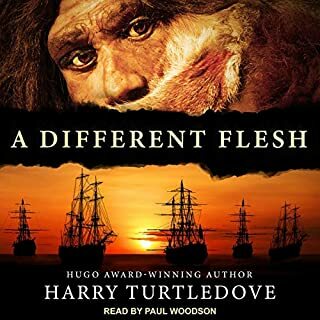 Overall, I enjoyed this book a lot better than other Harry Turtledove offerings. Thank You, Mr. Turtledove.